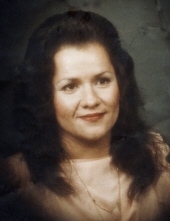 Barbara Debra (Aranda) Kelly, age 67, of Denver, died peacefully in her sleep on Saturday April 6th, 2019 at her home in Denver, CO.
Barbara was born in Denver, CO to Loraine Chavez and George Aranda on August 17th,1951. She went to school at North High School and eventually received her GED. She worked as a homemaker and several years in different careers to care for her family and own her own home. She was involved in her church and her children and grandchildren’s lives. Her children remember Barbara D as strong willed, outgoing and fierce when it came to all her family. She would take in family members and care for them as if they were her own children whenever she could. Barbara was a loving mother, grandmother and great grandmother. We will all miss her funny, no nonsense personality. Barbara is preceded in death by her mother Loraine and Step Father John Velasquez, Her Father George Aranda, Her brother Anthony Martinez. Barbara is survived by Children: Rene Kelly, Patrice & Rick Nixon, Damon Trizio, DeVon Trizio, Jasmium Alva. Siblings: Georgia & Louie Archuleta, Geraldine & Phillip Ornelas, Edna & Tony Cruz, Marcella & Leroy Romero, Rudy & Berta Martinez, June & Mitch Aragon, Joann Martinez. Grandchildren: Tobias Kelly, Angela Shipley, Angelo Shipley, Trevon Johnston, Joseph Q. Johnston, Jacob & Christian Nixon, Destiny Salas-Trizio, Michael and Jada Trizio, Janaya Trizio, Mya & Bobby & Isis Chavez. Great-Grandchildren, Marissa Lucero-Kelly, Jordan & Toni Kelly, Tianna & Leo Hurley, Journee Hopkins. As well as a large number of other loving relatives and close friends. Barbara requested an intimate service and cremation. Viewing will be at 10:00am and Celebration of Life will be 11:00 with reception to follow on Friday April 12th,2019 at New Life in Christ Church at 1380 Ammons St, Lakewood, CO with the Pastor Rodolfo Garza III of Via Church officiating. fThe family wishes to extend our sincere thanks to everyone who visited our mom in the hospital and at her home. Also, for the many meals and gifts that helped us through this difficult time. Thank you to the Hospital staff and Hospice who helped care for our mom. To send flowers or a remembrance gift to the family of Barbara Debra Kelly, please visit our Tribute Store. VIEWING STARTS at 10:00AM at the church. RECEPTION will follow the service in the church hall. "Email Address" would like to share the life celebration of Barbara Debra Kelly. Click on the "link" to go to share a favorite memory or leave a condolence message for the family.